Are you suffering from DEHYDRATION? Most people would not think so, well that is until they do the pinch test. 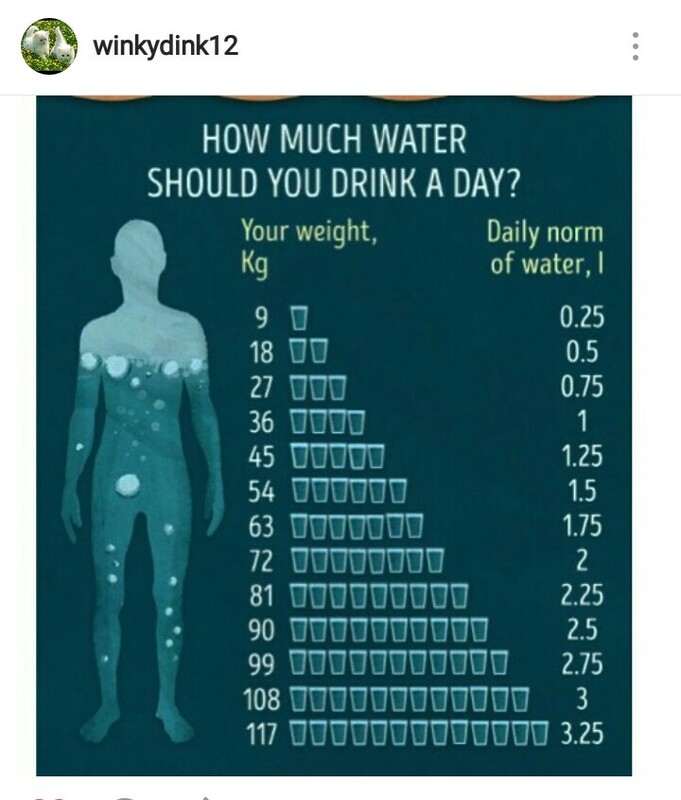 Just how much water should we be drinking each day? This actually depends upon our weight. Is there a danger of drinking too much water? It may come as a bit of a surprise to find that some experts have started calling into question the health benefits of drinking lots of water, suggesting that consuming more than the recommended one-and-a-half to two litres of it a day is more than the body needs. Professor Whiteley, also an expert in hyperhidrosis (excessive sweating) is convinced that over-hydration — drinking excessive amounts of water — is linked to many of the extreme sweating problems his patients suffer from; some so severe they are considering surgery to remove their sweat glands. Drinking large amounts of water, particularly at the end of the day, can disrupt sleep, too. ‘When we fall asleep, our brains release ADH, anti-diuretic hormone, to slow down kidney function and stop us feeling the need to urinate during the night,’ says Professor Whitely. And there have been other cases of people fatally ‘overdosing’ on water. ‘Drinking too much water too quickly — and we’re talking litres of water here, rather than cupfuls — can play havoc with the delicate balance of salts in the body,’ says Dr Frankie Phillips, of the British Dietetic Association. 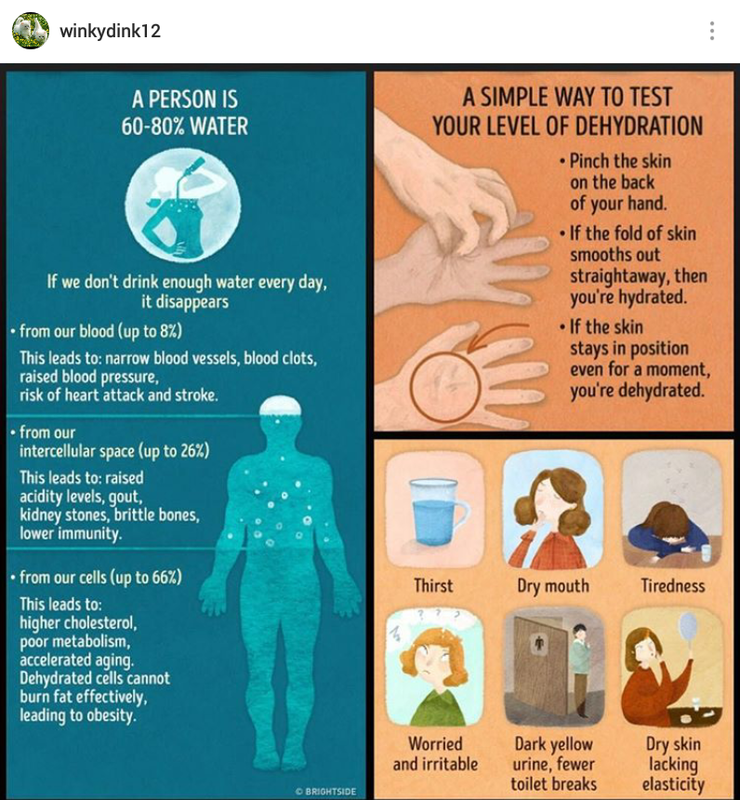 ‘If we drink a lot of water in a very short space of time, the kidneys can’t remove the excess fluid from our bodies quickly enough, and our blood becomes more diluted than it should be, with very low concentrations of salt. The amount someone should drink will vary slightly according to their size, how active they are and the environment they are in. The bigger and more active you are, the more fluids you will need. You will also need to drink more if you are in a warm climate. The best way to tell if you need a drink is to go by thirst. If you’re thirsty, you need a drink — it’s as simple as that. 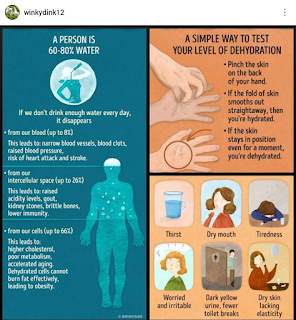 You can also tell if you need to drink more or less fluids by keeping an eye on the colour of your urine. Ideally it should be a light, straw colour. Any darker probably means that you’re dehydrated and need to drink more. If it’s very pale or almost clear — you are drinking too much and need to slow down a little.